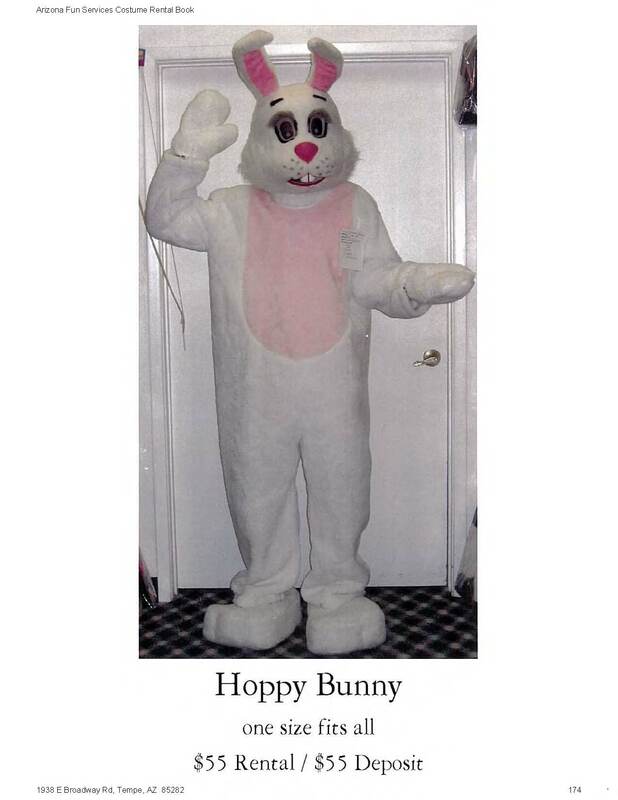 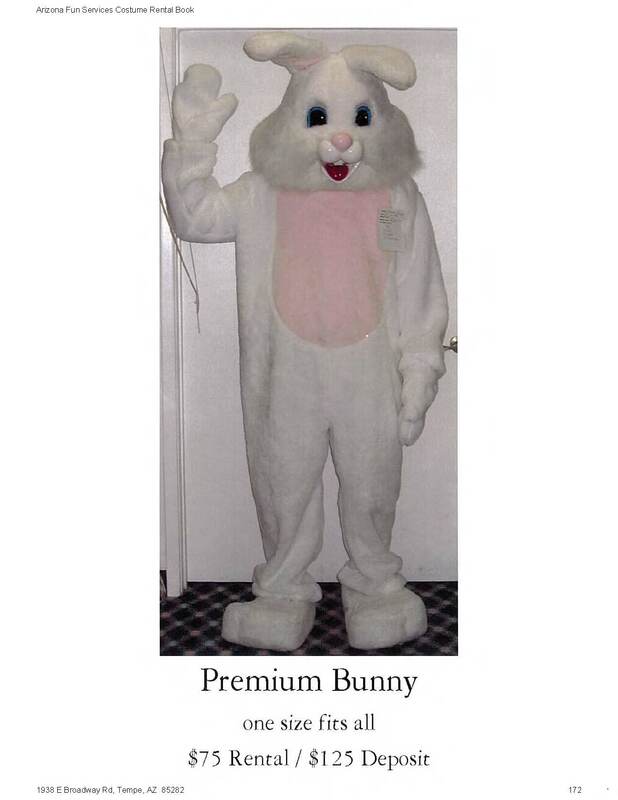 It’s no surprise that these are most popular around Easter time, but these Bunny Suit Rentals are available year round. 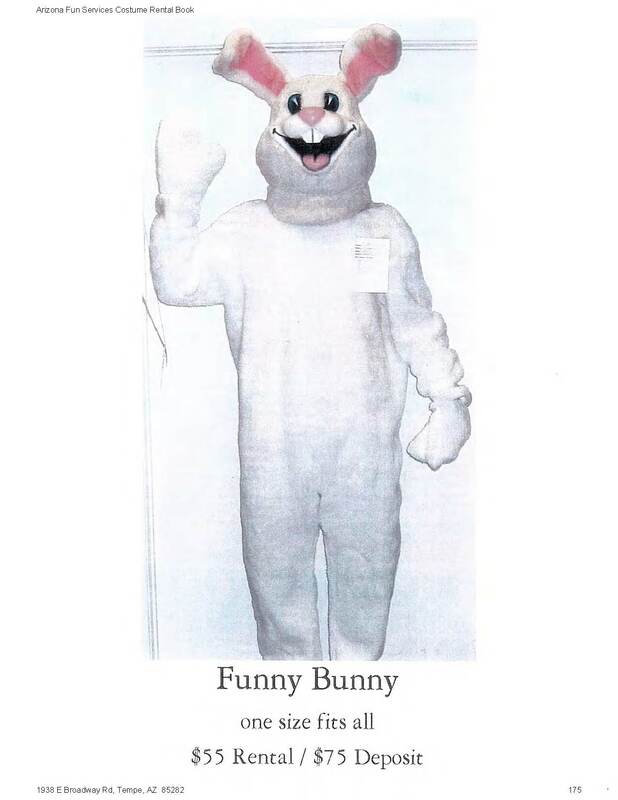 They come in several styles, including a few that aren’t pictured. 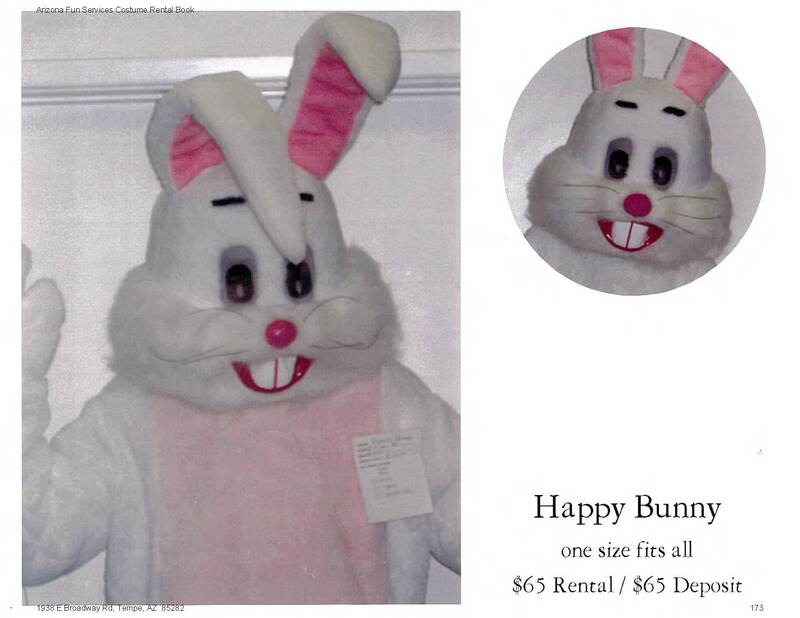 You can call to reserve, but as with all of our rentals we recommend that you come in and try on the costume.